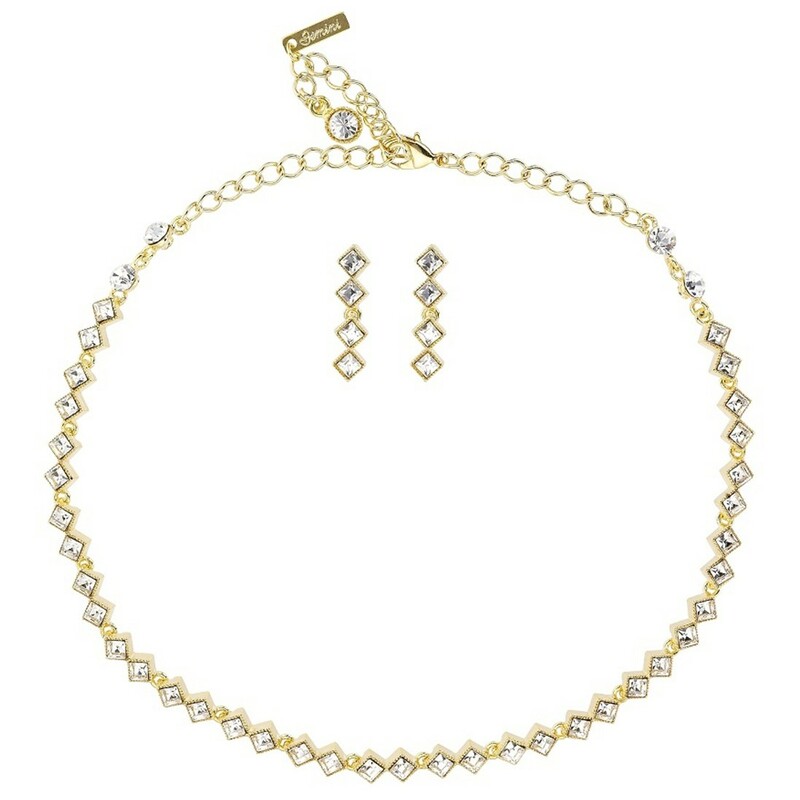 This beautiful Gemini Jewellery clear Crystal jewellery set is made from nickel free base metal withgold plating. A lobster claw clasp and chain fasten the necklace with variable wearing lengths of between 405mm to 505mm. The overall length of the clear crystal necklace is 528mm. 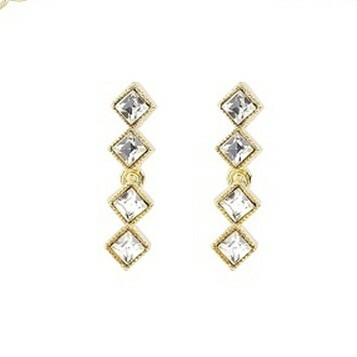 The 4 crystal drop earrings mirror the necklace's square rows in design with the length of the earrings being 30mm. 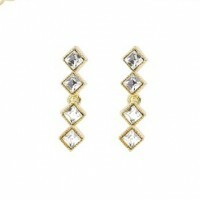 You're reviewing: Clear Crystal Diamond Row Necklace and Earrings Set, White Diamond Swarovski Crystals, Gold Plated.